This is the second time I’ve been given the opportunity to review this book, which is updated annually, by the publisher (New World Library). I always jump at the chance, not because I need the listings (I have a wonderful, amazing, fantastic agent) but because I love reading the articles that are included. More on that in a minute. 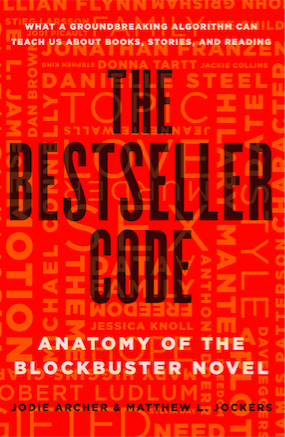 The heart of the book, and the reason why most people probably buy it, are the listings, which encompass publishing conglomerates (the Big 5), independent presses, university presses, Canadian book publishers, literary agents, and independent editors. 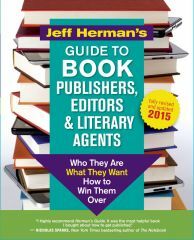 Herman’s book is an insider’s guide to the publishing world, with the scoop on everything. He’s an agent himself and knows whereof he speaks. What I most appreciate, though, is that I feel that he’s on the side of the writer all the way through. The listings are funny, opinionated, even arrogant at times. But I always trust that Herman is delivering the truth. 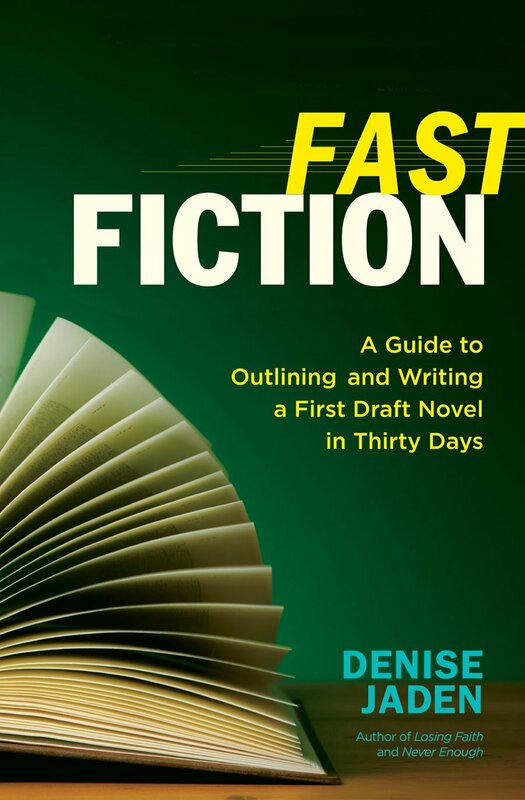 And that he’s got the writer’s best interest at heart–he’s writing this book for you, for your use and benefit, and the tone of the articles reflects that. In the agent listing section, Herman features interviews with agents. This is a goldmine, because through these you can glean tidbits about potential agents that may well help you find the right one for you. My only quibble is that I’d love a rundown, with his typical insider’s view, of each agency itself. Which would likely make the book run t0 800 pages (‘nearly 700 already). The articles are my favorite part, as previously mentioned. 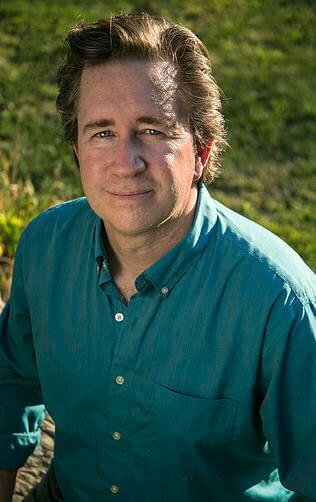 The essay, Literary Agents: What They Are and What They Do is excellent, as are his pieces on the query letter and the book proposal. Geez, even the glossary is helpful. I like getting this book because as an author, its part of my job to keep up with what’s going on in my industry, and Jeff Herman helps me do that. 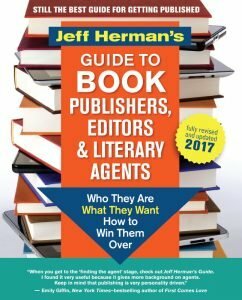 Bottom line, if you’re looking for an agent or a publisher, you need this book. If you’re not, it’s a good reference, but probably not vital. Thanks to New World Library for sending a review copy of the book. What does it mean to “step out of your story?” and how does one do that? As I write in the opening chapter of my book, “every life is an unfolding story, a dynamic, unique, purposeful, and potentially heroic story with bright spots, turning points, and abounding opportunities for personal growth and transformation.” Most people, when I present this idea to them, accept this to be true. And yet, many people don’t think about what that means. Until something happens that challenges their outlook on life, few take the time to explore the character they’re playing, what their story is about, who’s writing their script, and how the challenges they face can help them develop the insights and skills they need to move to the next chapter. Stepping out of your story means being able to step outside your life to view it from a novel perspective, both literally and figuratively. That means seeing yourself as the hero of your story, and understanding how all of the classic story elements, especially your antagonists, might be conspiring to help you grow, as many protagonists do over the course of the narrative. Looking at your life this way can also help you embrace plot twists as opportunities to change your life. Does how we tell our story matter? And if there are infinite ways to tell our stories, is there a best way? Absolutely. Telling our story is a fundamental way that we come to know ourselves and make meaning of our live. We are constantly sifting through various competing narratives to make sense of our world for ourselves and others. Whether you consider yourself a heroic figure overcoming obstacles or a tragic victim of destiny often depends on how you choose to read the text of your life and the way that you tell your story. We might even describe suffering, in part, as the result of a storytelling deficit, a failure to find a good filing system that organizes the details of one’s life into a meaningful cause-and-effect narrative, which results in an incoherent or distorted story. While there may not be a best way, there are certainly better ways to tell your story than others. My book proposes telling your story as a personal growth adventure, using the classic story structure to reframe challenges as stepping-stones to a more authentic self and richer life. The classic story elements – protagonist, antagonist, plot, climax, etc. – serve as the architecture of a story. Once we understand how each element of the story scaffolding supports directs and supports the protagonist’s character development, we can use “the story lens on life” to reconstruct a powerful, coherent narrative from the raw materials of our lives. What does it mean to become a good reader of the text of our lives and how can that help us? How we “read,” or rather interpret, our story affects how we feel about ourselves, which can influence how our lives unfold. For example, reframing the story of a cancer diagnosis as a tale of finding new sources of resilience and deeper connections with loved ones feels very different from telling the story as one of divine punishment or meaningless misery. In fact, studies show that a positive narrative, and the feelings they engender, can influence prognosis. Similarly, seeing a failed relationship as a lesson in intimacy, resilience, and humility will make us feel a whole lot better, and emotionally ready for our next relationship, than shaping the story as one of self-sabotage and personal worthlessness. This interpretative lens implies that we value character development in ourselves as much as we value it in the books we read and movies we watch. It entails seeing every person and situation that shows up in your narrative as a personal growth opportunity and recognizing the subtle, often unrecognized personal victories that build character — such as facing a fear, changing an attitude, or kicking a bad habit. This is not necessarily how society traditionally measures success. But or psychotherapists and writers, these kinds of changes mark meaningful progress in someone’s lifelong development, whether that person is a client or an imagined character. Here’s an example. Let’s say you’re unemployed, and you tell yourself the story that this is just another crappy situation that defines your very difficult life. You ask yourself, “Why does this always happen to me?” Then you finally land a job interview. What happens? If you haven’t eradicated your victim story, it may unintentionally seep out during your interview through your tone and word choice, or you may secretly sabatoge yourself. This may lead you to botch the interview, which causes more suffering and only confirms your negative story. However, what if you saw the antagonist (in this case, unemployment) of the current chapter in your life (a chapter you might entitle “A Thousand Resumes”) as the necessary force that is pushing you to grow in new ways: perhaps that you are in fact ambivalent about this career path or that you tend to get easily discouraged. In a way, this antagonist is like a personal trainer, and this conflict is the force challenging you to develop your confidence or to become clear about your career direction. Suddenly, as you exercise control over how you view your situation, the time between jobs becomes an invitation to work on yourself and build your muscles. Through this lens, you might say to yourself, “If I were reading this chapter in a book about the story of my life, I might appreciate that unemployment is nudging me — the protagonist — to get more organized and keep persevering in the face of adversity. I can choose to embrace that challenge, and forge ahead, or drain myself of valuable energy by sinking into discouragement.” Cast in this light, the power of interpretation via the story lens on life offers a powerful elixir for heartbreaks, disappointments, and existential angst. Does putting a positive spin on your story make it less truthful? We spin our stories all the time. Every time we open our mouths we make choices about how to tell a tale. Depending on your audience, we may emphasize certain aspects of the story over others, or omit certain details that seem irrelevant, inappropriate, or too complicated to explain. As we tell it over and over, we might remember certain parts we had forgotten initially, or new insights might lead us to spin the story in a totally different direction. Is one version more truthful than another? Who’s to say? And how does one define truth? 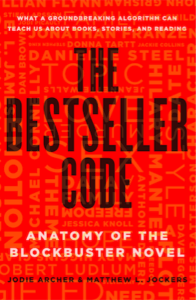 Is the objective experience of the things that happen – what I call the “outer story” any more truthful than the feelings we have about what happens – what I call the “inner story?” Some people tend to favor one of these two storytelling styles. But both are “true,” as far as they are meaningful, when it comes to understanding the totality of a person’s experience. That’s why for me, it’s less important whether a story is truthful, than whether it’s personally constructive. Finally, there are ways to find the redemptive storyline without whitewashing over unpleasant circumstances, repressing feelings, or discounting important life lessons. By reframing your story as a personal growth adventure that identifies the ways you’ve grown as the protagonist of your narrative, there is room for all manner of feelings and experiences, which imbue the story with richness and texture. And the fuller the story, the more it approximates something resembling the truth. Is there any research to support the efficacy of the third-person storytelling exercises in Step Out of Your Story? A number of psychological studies in recent years illustrate that recalling past events or thinking about yourself in the third person helps you see yourself through kinder, more compassionate eyes. The reason is that the third person voice creates emotional distance between you and the circumstances of your life, enabling you to see the larger story with greater objectivity. For example, University of California and University of Michigan researchers used a psychologically distancing vantage point when asking participants to reflect on negative memories. Not only did participants report less emotional pain, less rumination, improved problem solving, and greater life satisfaction when discussing matters in the third person, they also gained new insights into those memories without feeling as emotionally overwhelmed. Similarly, in a Columbia University study, students were asked to describe recently upsetting thoughts or feelings, and these bad memories were recalled with less hostility by those using the third-person perspective. In an Ohio State University study, students who recalled humiliating moments in high school in the third-person narrative were more likely to describe themselves as having overcome obstacles than those who recalled similarly embarrassing moments from a first-person perspective. The study concluded that feeling like you’ve changed gives you the confidence and momentum to act in ways that support a perceived new and improved self. It’s also worth noting that all of this research is aligned with narrative therapy technique known as “externalization,” which uses psychological distancing techniques to prevent people from over-identifying with their problems. Do people need to be good writers to do the exercises you offer in your book? No. As I tell my students, your masterpiece of living doesn’t have to be a masterpiece of writing. The exercises are designed for anyone who can compose a simple sentence. The goal is not writing well; the goal is self-discovery. The goal is to write powerfully and authentically. In my experience facilitating workshops, I’ve noticed that the written equivalent of stick-figure drawings may actually teach us more about ourselves than carefully crafted (and controlled) adult sentences. Words-smithing can be about the ego, which I’m trying to help people transcend via the third person narrative. That being said, people for whom writing comes naturally sometimes use the exercises as prompts to get really creative, and have subsequently written some beautiful pieces. Obviously, no one can predict the future. How then is it possible to predict your own character arc? One of the ways I help readers get a sense of their character arc is by completing a character sketch of themselves in the third person narrative, assuming the role of both author and protagonist. A character sketch is a technique that helps authors flesh out the personalities and interior world of the protagonist before embarking on a novel. It involves answering a series of imaginative questions that paint a holographic picture of how the protagonist might evolve over the course of the plotline. The character sketch presumes that the protagonist is the soul of every narrative and the engine that runs the story. So, too, I want my readers to understand more deeply who they are as evolving protagonists. The more they understand about who they are, what they’re made of, and what’s driving them, the more they’ll get a sense of where they’re heading. How can the antagonists of our stories help us grow? Can’t they also bring us down? Many of us don’t think twice about pushing ourselves to the point of pain and exhaustion at the gym. Yet when life pushes us to exercise our emotional, spiritual, and mental muscles, we often would prefer lighter, gentler, no-impact routines. However, until we are willing to build these character development muscles, we will remain somewhat stunted in our growth, unable to actualize the full strength of what we are capable of, whether in our career, relationships, or communities. That’s why antagonists are an important part of our story. They are like the personal trainers who push us beyond our perceived limitations to develop our flabby, underutilized emotional muscles. As with a personal trainer, we might openly swear or grin through gritted teeth. We might assign the person sadistic aspirations, thinking the trainer wants to harm or destroy us. But if we read between the lines, whether we like it or not, our antagonist can help us strengthen the underdeveloped areas within ourselves. By definition, they force us to stretch beyond our perceived limitations to discover the true depth of our own capacity to love, succeed, and overcome obstacles. Why do you ask readers to focus on the current chapter, rather than asking them to reframe something that happened in the past or look at their whole life? While exploring the influence of the past on the present can help us understand ourselves better, we can also get bogged down in old storylines — instead of visiting the past, we might pitch camp there or continue to circle the same old beaten tracks. The present, however, is the place where change becomes possible. It is the precise moment in the story when you, as the protagonist of your story, can take action and grow. One of the foundational exercises I ask readers to complete is to name and describe the current chapter. From there, I help them reconstruct their story element by element. Eventually, they reassemble these pieces into an empowering new narrative about where they are and where they’re heading. And here is the beauty of this process: once we name our current chapter, distinguishing it from previous chapters within our larger narrative, we may see how the present moment offers possibilities to embrace a new reality and further develop our character. This new awareness can help us get a fresh perspective on areas where we might feel stuck, reframing life's inevitable trials and tribulations as purposeful experiences that won't last forever. Kim Schneiderman, LCSW, MSW, is the author of Step Out of Your Story. She counsels in private practice and teaches as a professor and guest lecturer at venues including New York University. She also writes a biweekly advice column for Metro Newspapers and blogs for Psychology Today. Visit her online for more information. I've got a new book for all you fledgling novel writers out there. 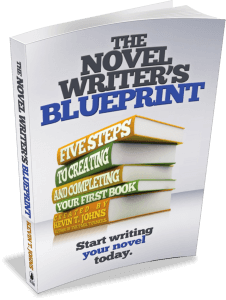 It is called The Novel Writer's Blueprint: Start Writing Your Novel Today, by Kevin T. Johns. I discovered the book when Kevin emailed me a wonderful query asking if I'd be interested in reviewing it. Since I'd just published a rant post about how often I got approached by people with terrible queries, I leapt at the chance. Kevin sent me the book, I read it, and now I'm reviewing it. 1. Genre Selection–Learn to harness the power of genre. 2. Story Structure–Select a story structure already proven to work with readers. 3. Puzzle Work--Piece together your scenes into an indispensable beat-sheet. 4. Preparatory Regimen–Sharpen your writing skills. 5. Running the Marathon–Implement protocols to stay on track and beat the biggest challenges. Not mentioned in this rundown is his introductory chapter, which has a lot of good information in it as well. My favorite chapters were #2 and #4. I love #2 on story structure, because I'm a story geek, and Kevin has a film background so he's well versed in various structures and he presents them clearly. 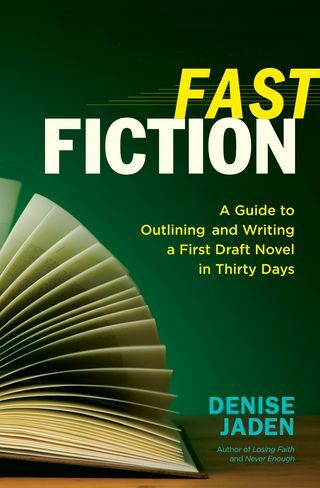 Chapter #4 covers a good collection of tips for writing, such as timed writing, mind mapping and brainstorming. Kevin also mentions a technique called "Writing Down the Page" which it turns out I do all the time, but didn't have a name for. It's when you write a sketchy outline of your chapter so you have the general flow down. 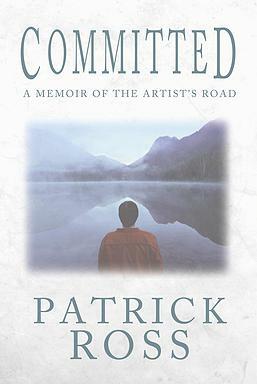 This book is perfect for the first-time novelist who wants a picture of the road ahead before launching onto the journey. And seasoned novelists will find a few tips of use as well. Check it out, guys. Do you have a favorite book on novel writing? Please share! It's Friday afternoon and it is hot here in Portland. I'm feeling pleased with myself because I got a long-overdue pedicure and eyebrow waxing and I'm sitting here wondering why self care is so hard for me. Which leads me to ponder why it is also sometimes difficult for me to receive…as in receiving love, receiving gifts (I'm always embarrassed to open them in front of people), receiving praise. And, um, that last part, praise, is what this post is really all about. You see, I had two great reviews get published this week and I wanted to share them with you. What this is really about for me is that I want you to visit the sites of the women who wrote (and filmed) the reviews. Because they took time, first, to read my book, and second, to put together a review and post about it. And I SO appreciate that. The fact that both are glowing reviews is icing on the cake. Or, since Emma Jean says I shouldn't be using a cliche, an extra present in the pile. One more day of vacation. Another glass of wine. You get the idea. I've known Samantha Gluck for a couple of years now and always appreciated reading her blog and tweeting with her. (She is known as @texascopywriter on Twitter) Samantha not only wrote a review, she filmed a video! It's hilarious, and anybody who has read the book will appreciate it. Please go and watch it here. It is worth your time, I promise! I met Ionia Martin through sheer, dumb, luck when I cold-emailed her to ask if she'd be interested in reviewing my novel on her book review blog, Readful Things. I've had such bad results in asking reviewers for reviews, I was stunned when she replied–and was gracious and friendly to boot. She gave Emma Jean a 5 star review! What I love about both these women is that, while both are huge readers, neither of them have much of a taste for women's fiction. I'm so, so grateful that they gave Emma Jean a chance!